I don’t know where to begin, it’s just one disaster after another for Heki and company. As much as I hate to admit it, the stratagem deployed by Bunen is not within the scope of Heki’s skill, he’s outclassed by the Quanrong. Kan Ki would’ve been a more interesting adversary against these guys, at least, with him as an opponent, the Quanrong would’ve gotten a taste of their own medicine well before combat ever began. Slaughtering the innocent, striking fear, you get the idea. 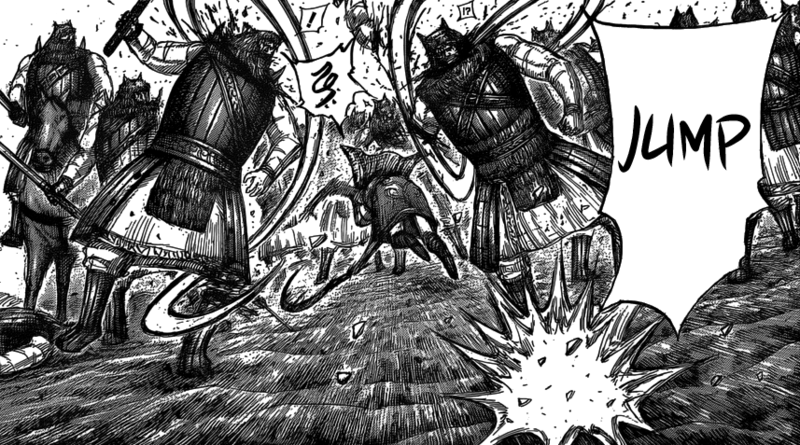 Heki needs to change his method of attack fast or it’s all over for them. By the book tactics won’t cut it, not with these guys. Thumbs up to Danto aka the Feego king, he accomplished his task and demonstrates true mettle. Although reckless and foolish the little sheep *threw herself into the lion’s den. How old would you say Kitari is?